Suvapri, an Iranian settled in Dubai is directing an English film titled Tinovo with Tamil actor Ajmal in the lead. Starring opposite him will be Aroshika. 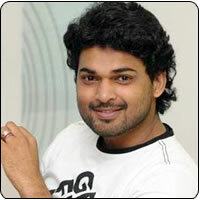 The shooting of this film is complete and is based in South India, says Ajmal. He adds that Tinovo is based on the religious beliefs and he plays a media person in it. Tinovo will premiere at the Iran Film Festival, we hear. Following this, the film will be sent to several other film festivals across the globe.